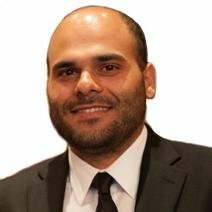 Sami Mana, the Co-CEO of Cryptency, talks about the newly launched B2B cryptocurrency trading solution. FX veteran Sami Mana recently parted ways with Leverate after a lengthy career with the technology provider to join the management team of the newly launched B2B full turnkey cryptocurrency trading solution, Cryptency. Mana sat down to talk with Finance Magnates about the new offering. We talked about the international markets they are targeting, why traders should prefer a broker over an exchange, how established FX brokers should adapt to the opportunities of cryptocurrency trading, and much more. Cryptency will be a complete solution for anyone looking to establish a new online brokerage offering cryptocurrency trading on 4x margin to retail clients. The system has been in development for the past six months, the team behind Cryptency told Finance Magnates. It will also offer dedicated CRM and risk management systems and built-in KYC compliance. For traders, the system will serve as a single interface for trading in 860 cryptocurrencies via bridge connectivity to all major exchanges including Poloniex, Kraken and Bitfinex. It will feature advanced charting capabilities, split screen support, indicators, widgets and dynamic content such as social news stream, news events and asset profiles. An app for mobile devices is being prepared for launch too. Deposits can be made with fiat (USD, EUR…) or from any cryptocurrency wallet. Trading will be done on pairs of crypto/crypto only. Mana serves as the Co-CEO of Cryptency alongside another former Leverate executive Itai Novak.